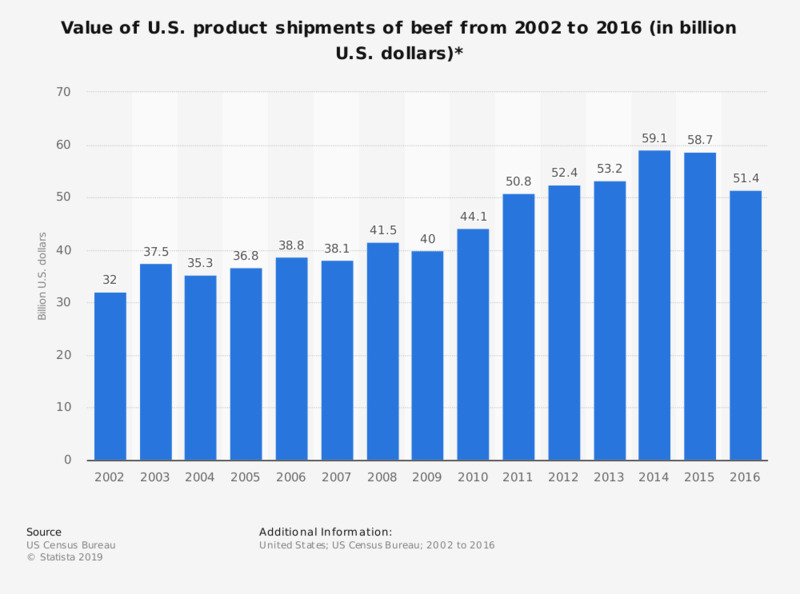 The timeline shows the value of U.S. product shipments of beef from 2002 to 2016. In 2009, the value of U.S. product shipments of beef amounted to 40 billion U.S. dollars. *Not canned or made into sausage, slaughtering plants.